Falling in love brings a rush of oxytocin and positive feelings. Intimate (including more than romantic) relationships are satisfying when people are desired and appreciated. Are you feeling screwed in a system designed to consolidate wealth? 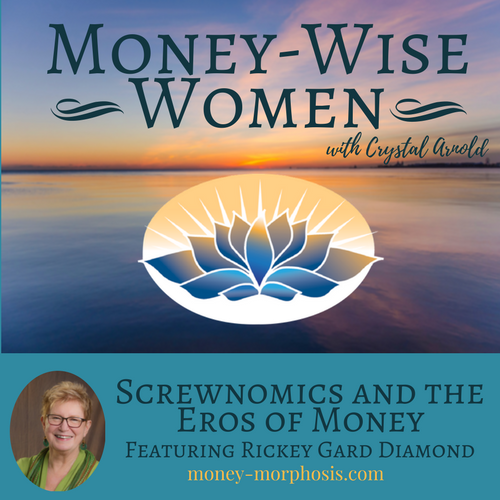 “Money-Wise Women” guest Rickey Gard Diamondwrote the new book Screwnomics: How Our Economy Works Against Women and Real Ways to Make Lasting Change. Readers both laugh and cry about the absurdity of how the growth-economy extracts value from women and the Earth. Through stories of individuals, Rickey brings the economy to life and describes the innovative power at the grassroots. Desire to make a meaningful contribution with passion and ignite love. “Eros” is the name of the mythological Greek god of love, the son of Aphrodite. Rickey explains the perversion of eros—sexual love and desire—and how to restore true love and dignity through economy. For both individuals and societies, denial of eros causes first boredom and then apathy. This denial can lead to addictions, as people try to feel something through more consumption. Finally, cultures resort to violence in the ultimate quest to feel this repressed passion of eros. During the last 5,000 years of the patriarchy, men had nearly exclusive ownership of women, as slaves and concubines and even as wives. Foundational to early agrarian economies were debt coupled with slavery, and people were bought and sold as property. It is time to stand proud of women’s phenomenal contribution to economics, public banking, complementary currencies, micro-finance, cryptocurrencies, and participatory budgeting. Not to mention our often unpaid service offering food, education, and child and elder care. Women are creating inclusive language and metaphors advocating for fair distribution of resources within an equitable economy. Amplify the wisdom of women as decision-makers in the home, community, and beyond. Rickey Gard Diamond is a journalist and fiction writer. She has long focused, across genres, on money, politics, and cultural change. 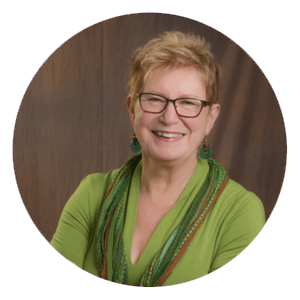 Writing about systemic poverty and government policy, she became founding editor of Vermont Woman in 1985, where she continues today as a contributing editor. While publishing articles and short fiction, she taught writing and literature, feminist and media studies at Vermont College of Norwich University for over 20 years. In 1999, Calyx Books published her novel, Second Sight, which was reissued by HarperCollins in 2000. In 2011, she was awarded a National Newspaper Association award for her article series, “An Economy of Our Own,” and in 2014 she won a Hedgebrook fellowship for her work on Screwnomics. Meanwhile, her short fiction, published in literary journals, was issued as a collection, Whole Worlds Could Pass Away (Rootstock Publishing, 2017). She’s now at work organizing, speaking, and connecting with EconoGirlfriends around the world.